The TRUE Fit Team did it again, this time from Los Angeles to DC. Check out the action along the way and for more stuff on TRUE Fit like the FB page at Facebook.com/truefitteam and follow us on Twitter and Instagram @TRUEFitTeam. Narratives are important. They frame perception, and perception often times has a strong influence on tangible elements like public policy, and the value that society attributes to entities and certain groups of individuals. Inner-city Chicago’s notorious reputation for being violent leads many outsiders to believe the neighborhoods of the South and West Side of the city are in constant danger, filled with a generation of lost cause youth neglected by inattentive adults, and that walking into one of these communities puts your life in immediate jeopardy. While community groups like Slow Roll Chicago, and BUILD Chicago are not naive to city’s problems when it comes to violent crimes, they are leading the charge on the positive culture that surrounds Chicago that is almost entirely overlooked. They are busting the myth about the aforementioned false narratives about these parts of the city. TRUE Fit was more than grateful to spend time with them this past Saturday and provide a highlight of what great parts of the city of Chicago has to offer. The internet has given us a lot of great things. It has facilitated innovation, paved ways for new forms of entertainment, and given a voice to the public like never before. But as the internet giveth the public a voice and a platform to express ideas and thoughts, the internet can taketh that voice by exhaustive efforts from users to police thoughts and ideas to the point that people may be discouraged to present them now more than ever. It is important to be sensitive and aware of how groups of people can be marginalized by what may seem to be innocuous language in the user’s mind. However, the vigilance and scrutiny used by bloggers, advocacy groups, and social media users has been so intense that it has crippled the type of thought provoking discussions we need to progress our understanding of whatever the topic may be. Often times the ultra concern over how issues are presented has shifted the focus away from the actual issue itself. For Michelle Obama, the resistance in her Let’s Move initiative has not only come from kids that want to eat Dorito’s and play Xbox all day. Take for example the criticism Michelle Obama has drawn in her campaign to fight childhood obesity. Abigail Saguy, professor of Sociology at UCLA, expressed her displeasure with the First Lady’s campaign, authoring a piece from TIME entitled, “Memo to Michelle: Fat Shaming Is Not OK!”. 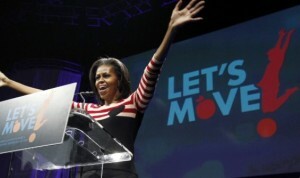 Mrs. Obama has made fighting childhood obesity her number one issue as First Lady of the United States. It’s an important cause to fight for considering obesity has doubled in children and quadrupled in teenagers the past 30 years. Type 2 diabetes has drastically increased during that time, while sedentary activities such as smartphone and tablet usage has become more prevalent for children discouraging them from engaging in the physical activity they need to live healthier lives. While heavier than most, Kawwan Short would have a much easier time going up and down the stairs than most able bodied people in America. But to Saguy, the First Lady is wrong in focusing her attention on childhood obesity because a person’s weight is not an absolute indicator of whether someone is healthy or not, and that the cost of potentially hurting someone’s feelings by raising concerns over obesity can cause more harm than good. Saguy is right to a degree, obesity is not the primary indicator to determine whether someone is healthy or not. There are many people that are obese who are healthier than those who are not obese. 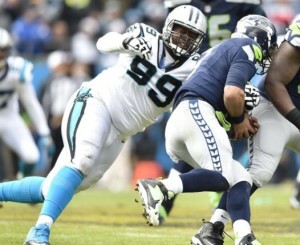 NFL linemen for instance are typically well over the BMI score of an obese person, but are more likely to experience less physical health related concerns -aside from sports injuries- than someone who is normal weight that doesn’t live an active lifestyle. To some when the First Lady’s campaign directly calls for a fight against childhood obesity, many perceive it as a war on fat people, or consider it a form of fat shaming. Still, none of this changes that there is great value in Mrs. Obama’s campaign that promotes exercising and physical activity over sitting at home and playing video games, or choosing water over sugary ‘sports’ drinks. These are the type of habits kids can implement to reduce their risk of being obese, prediabetic or diabetic, and/or facing heart complications later on in life. Saguy cites a study from the New England Journal of Medicine, that 70% of the variation in people’s weight is genetic. Saguy did mention as an aside that higher body mass increases the risk of Type 2 diabetes, validating the First Lady’s cause to decrease excess body mass. But because Mrs. Obama appeared on The Biggest Loser and is promoting the reduction of childhood obesity, she stands out for being a fat shamer more so than an advocate for healthier living, according to Saguy. To Saguy, ultimately it’s more about how the FLOTUS presents the issue of the increase in childhood obesity, diabetes, and risk of heart disease that’s the problem, not whether the issue of fighting it is a worthy cause. It’s hard to imagine that the narrative of the First Lady being a ‘fat shamer’ pushed by Saguy could exist without the internet. It’s a platform where millions of people can express an idea or a concern at the click of a button. How likely would Saguy’s charge of Michelle Obama stick, or carry any momentum before the Internet? Suppose Saguy could write an op-ed in a magazine like TIME, but without immediate ‘likes’ and retweets from the public supporting the focus on the narrative she presents, outrage culture does not have a platform. 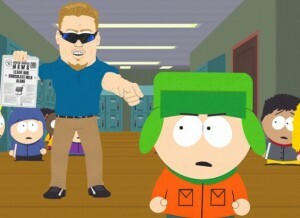 Social justice watchdogs like South Park’s PC Principle are ready to pounce on anything and everything if it doesn’t suit their taste. Of course, we don’t want to trade back the Internet just because of the peskiness of outrage culture. But we do need to understand outrage culture becomes problematic when it focuses on something so benign like whether or not Michelle Obama is a fat shamer because she appeared on a TV show. Think of how a less combative and more unified effort to address a particular issue like preventing childhood obesity and promoting healthier lifestyles would be more productive for us all. 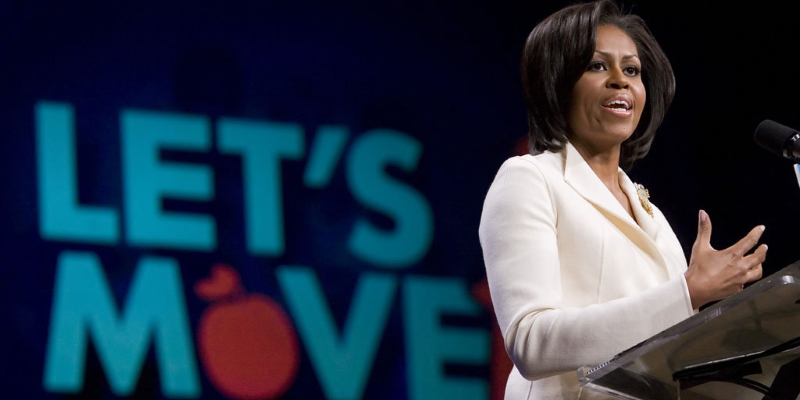 Mrs. Obama’s campaign may be better served if it marketed itself as less of a fight against obesity and more about promoting healthy lifestyles. Saguy makes a valid point that, “Given how difficult it is to lose weight, the First Lady should consider using her platform to promote a more constructive message: that people of all sizes can make positive nutritional and exercise changes.” But at the end of the day that is exactly what the First Lady is doing. Whether or not she appeared on The Biggest Loser, or if she were to appear on The Howard Stern Show to promote those values doesn’t change it. Whether or not she calls it a ‘prevention of childhood obesity,’ or a ‘prevention of sitting on the couch all day eating snacks while looking at an iPhone’ doesn’t change that either. We’ve evolved into a culture that spends too much time and energy focusing on what’s ‘wrong’ with something, that even using a clinical term like ‘obesity’ can trigger a backlash against those trying to prevent it. TRUE Fit Entertainment presents, “Snake Oil for Sale: Tom’s Super Training System”, a satire about all of those health and fitness marketers that promise results in an unrealistic amount of time. The gang inches closer towards the Northeast while Tommy tortures the eardrums of everyone in his path, hitting notes while turning spokes. After a successful TRUE Fit clinic in Mentor, Ohio, things get hilly for the crew as they venture into the peaks and valleys of Pennsylvania. James becomes eager to pet a cow and befriend an Amish-men, but when he ends up doing neither frustration boils over.